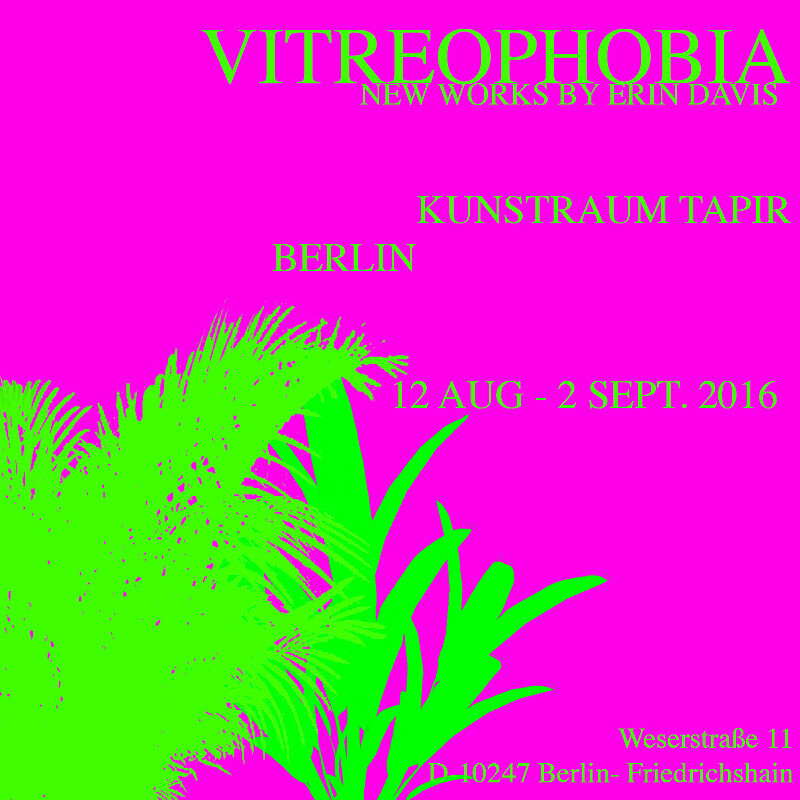 Kunstraum Tapir is pleased to present VITREOPHOBIA: New Works by Erin Davis, the artist’s first solo show in Berlin. 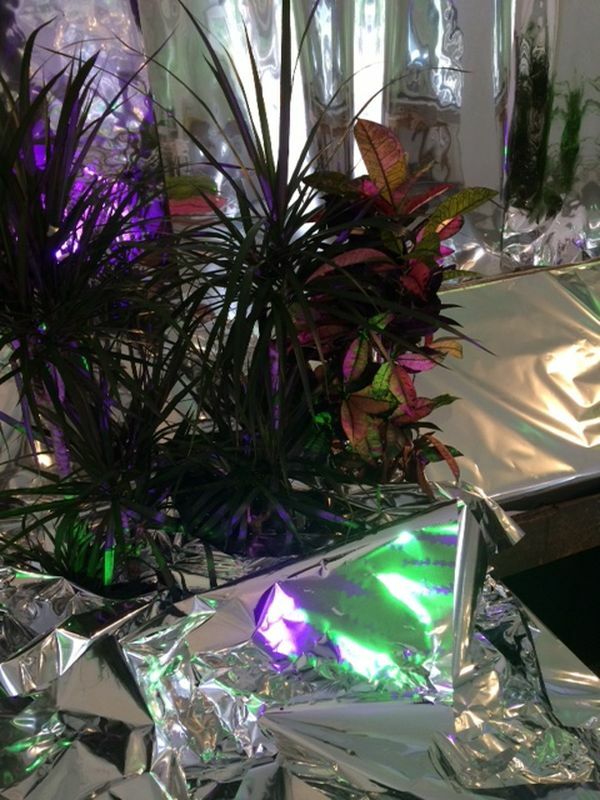 Erin’s practice examines the biological and psychological ramifications of a world constantly drenched in LED light. 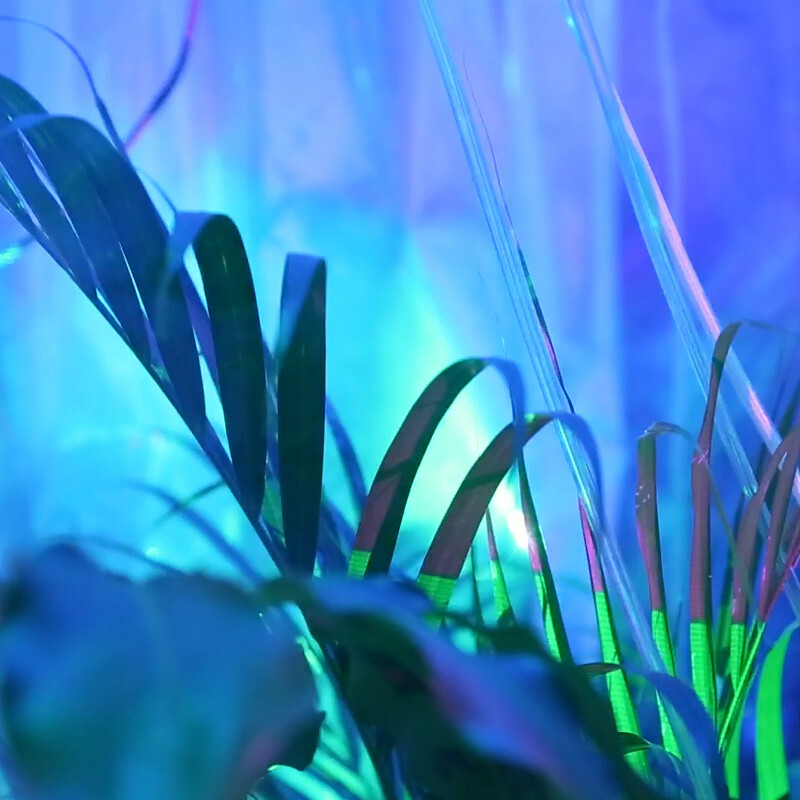 Through moving image and installation based media, he creates glimpses into worlds where these consequences are magnified towards a point of uncanny sensory-overstimulation. 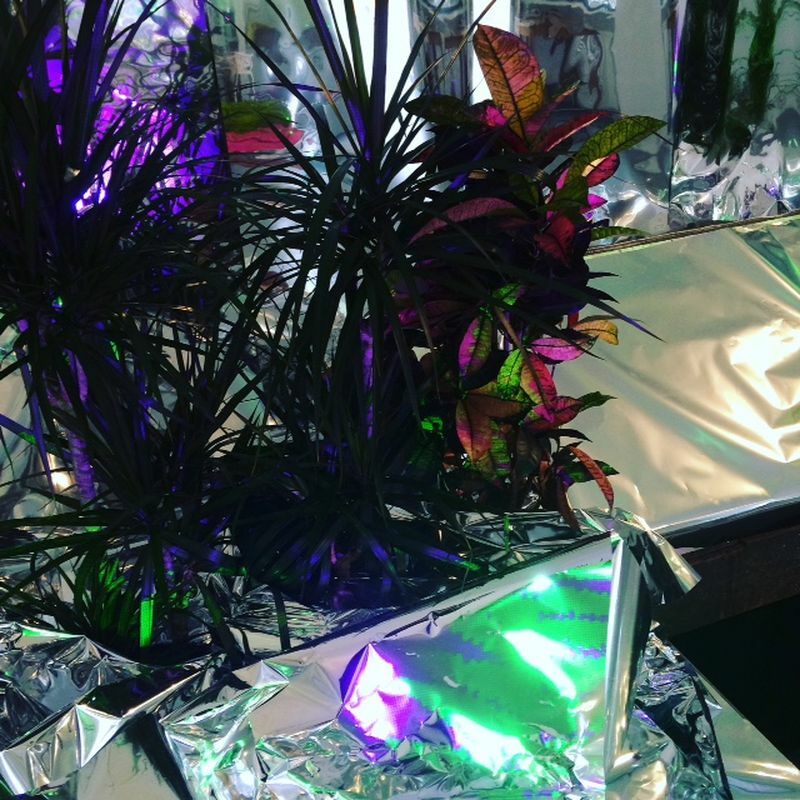 Often combining aesthetics of medical sterility and DIY underground plant grow-houses, Erin’s works take on an almost post-human presence. The viewer is continually unsure whether they are the examiner or the examined in the experiment-like environments he creates that appear visually seductive, often using strobing lights and copious amounts of reflective material, with more serious undertones. Influenced by his research of the varying implications of LED light’s unblinking glow: such as sleeplessness, laboratory experimentation, military torture, or physiological/psychological effects on plants, animals, and humans, Erin’s work perceptually and psychologically challenges the viewer. 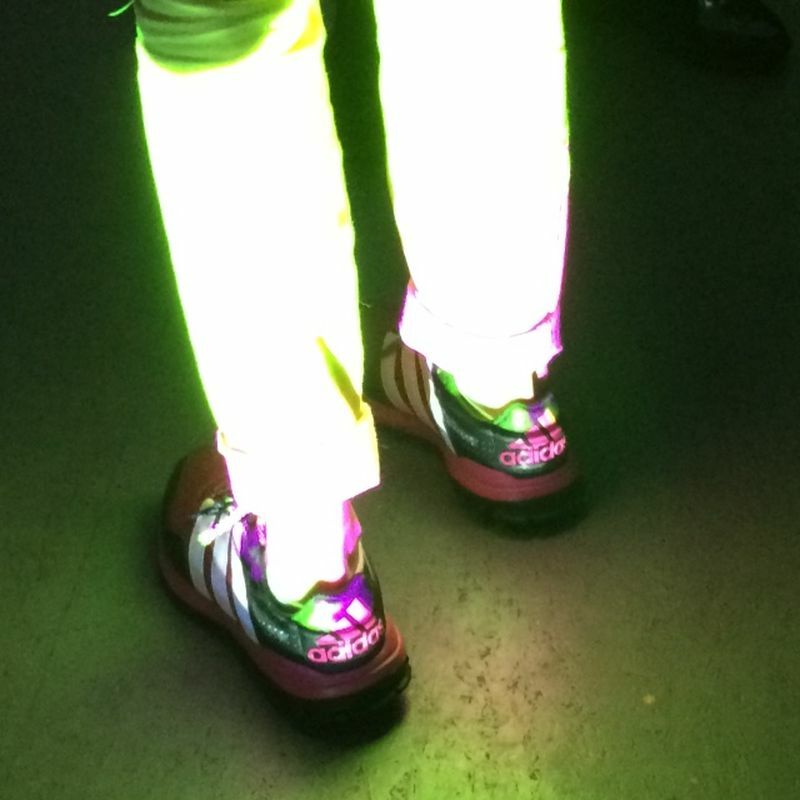 He is compelled by the ramifications of LED light in a culture that lives and breathes it.